I got the first thing I ate at Mama Rosa's when it was in a U shaped mall in DeRidder. 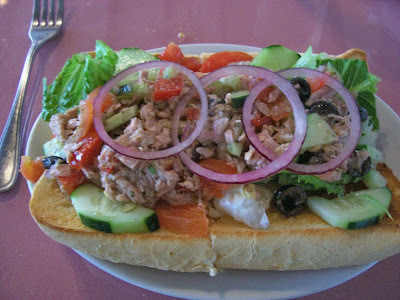 A tuna sub done Provencal style. As you can see it is a veritable garden with no mayonnaise. It tasted as delicious as the first one I had years ago. It contains lettuce, cukes, tomato, olives, onion and Mama's olive oil dressing. As usual no Tiramisu since it was sold out. So I got the cannoli. It was ok. 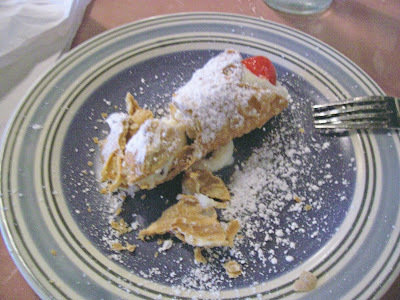 Sweeten ricotta freshly piped into a fried shell with candied cherries on the ends. First up was Angus Beef Carpaccio beef tenderloin, pounded paper thin, served with dijon mustard, extra virgin olive oil, Parmigiana Reggiano, crostini & lemon. I really wish I had a picture because it was more a work of art than plate of food. Paper thin beef covered the plate with a ring of shaved parmesan around it. In the middle three conchions formed a triangle with dijon in the middle. Trails of black pepper and olive oil made designs on the beef. Three crostini of french bread artfully placed I used to transfer the beef and such my mouth. I also experiment with adding lemon juice to the beef. I tried all combinations and most were successful. The lemon beefed up the beef taste. This was the first time I've had this and it was a delight. Pan Sautéed Tender Calamari with olive oil, fresh garlic, parsley & lemon, served with roasted red pepper aioli turned out a little different that I expected but delicious. I was expecting calamari steaks but got rings instead. However the style in which it was done reminded me of Salt and Pepper Calamari. 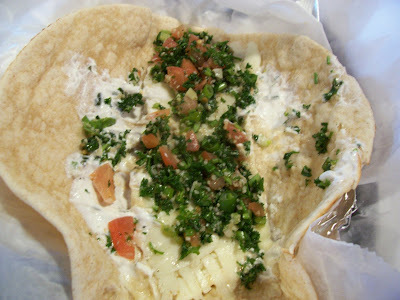 As this is a favorite of mine this dish found favor with me. Rings in a light coating flash fried then stir fried with a mixture of garlic, parsley and lemon(gremoulade) gave it a Mediterranean touch rather than a oriental flavor. The aioli made a wonderfull dipping sauce. In the end it suited my mood (light rather than heavy). They were also were very tender. I got a White Chocolate Crème Brulée traditional French custard with a crisp caramel shell accented with perfectly ripe raspberries, blueberries and strawberries. I could have a bowl of this fruit and been satisfied. This is the third brulle in as many weeks. It was perfect in it own way. Perfect sugar shell over a minimum of great custard. Arthur Durham sent out Frozen Nougat with Dried Fruit and Nuts figs, currants, cherries, toasted almonds & walnuts folded in a light honey mousse because he did not realize I had this the last time I came in for lunch. It is an excellent nice ending to a heavy dinner. Not too sweet a little cool and chewy. There have been several unsuccessful venues at this building. However I think these sisters have cracked the nut. A new colorful facade and paint job on the outside combined with a new look inside along with good solid food and their personalities are sure to make for success. My eminent colleague at the American Press gave you the back-story and some menu choices. I am here to give you the details. 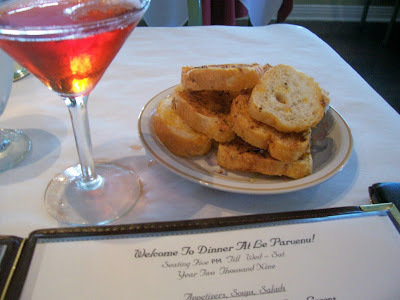 While they primarily do plate lunches they also do short orders which I did not explore. Good wholesome Creole country cooking in a convivial atmosphere is the standard here. 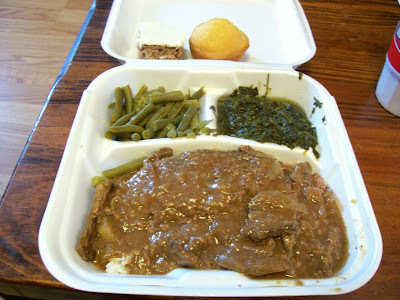 I started with Smothered Liver and Onions on the Thursday menu. I love this combo. It came with rice, green beans and mac & cheese. That day they used cow’s liver, which has a stronger liver taste (right up my alley). The pan gravy proved excellent over their fine rice, spicy and flavorful. The beans doctored with some bacon, superb. The mac & cheese seemed to be under salted, quickly remedied. Don’t worry last time in I went with something everybody would want to eat. I was aiming for Meatloaf Wednesday but they were in-between loafs. They offered Meatballs and Gravy, great. You can tell a lot about a plate lunch place by their meatloaf or meatballs. I got these with turnip green and black-eyed peas. Three huge meatballs arrived at the table. They were almost perfect (spicy, meaty, and flavorful without being dense) except they were on the salty side. I suspect a salt based seasoning may have been added after some salt. Broken apart and mixed with the rice they were delicious. The peas and greens complimented a square of sweet cornbread. What can I say? 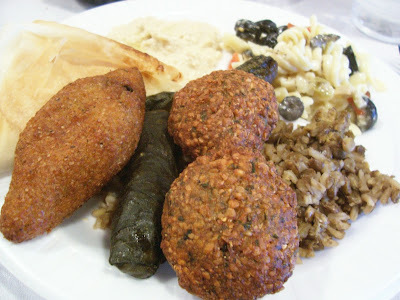 Good Food, Good Loving, Good Gosh I wish I was there now. They have added some Lenten dishes to the menu. This is one. It is Salt Roasted Shrimp. It is a variation on my favorite preparation of seafood. That is salt and pepper. Everyone does it different. This one is raw shrimp wokked with a salt and garlic mixture very little pepper then some bell pepper and onion strips added to finish off. 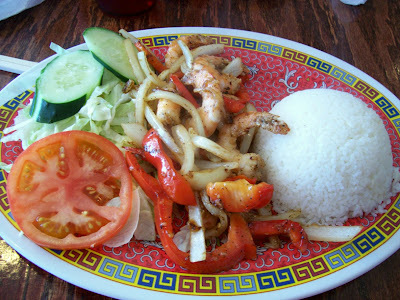 It is served with rice and Pho Tien salad. I would have preferred more spicy but that is why the sirachi bottle is on the table. The flavor was nice. There might have been fish sauce used in it. I enjoyed it except for the tails. By the way I ended up here Friday because Donde Tonio is no more. First course was "Our Famous Mirliton, Shrimp, & Crab Bisque". That is straight from the menu and well deserved. 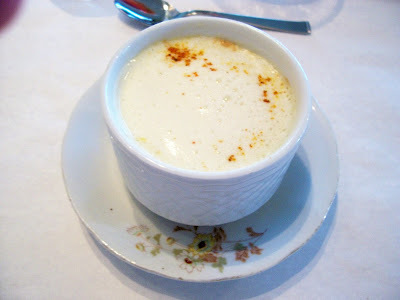 A creamy soup with a big seafood punch but quite delicate. The mirliton (also known as chayote or vegetable pear) gave a vegetal under note while small shrimp and chunks of crab proved nice. I did discover a few crab membranes and a piece of onion skin but they did not deter me from enjoying thoroughly. Chef Dennis’ Original Oyster Doubloon, Wilted Fresh “Rockefeller” Spinach came next. This was a very satisfying riff on Oysters Rockefeller. 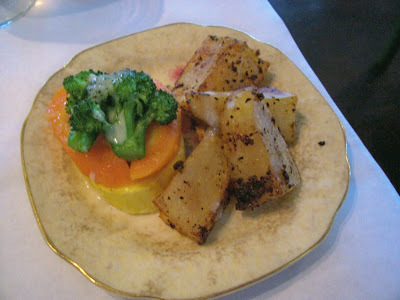 The doubloon consisted of oyster dressing formed into a patty and pan sauteed. It sits on wilted spinach with an anise undertone. 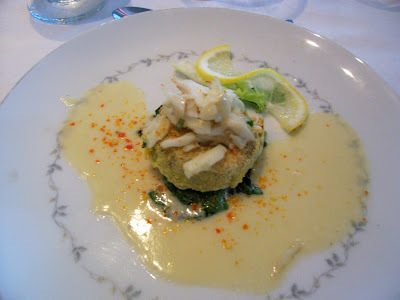 Topped by fresh lump crabmeat and a nice lemon butter sauce it stood out. The doubloon possessed a nice strong oyster flavor and when all the parts where consumed together it had the taste of an really great Rockefeller. As I love the taste of oysters I was extremely happy with the dish. 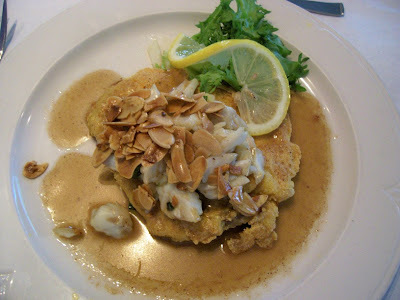 Cornmeal Crusted Snapper Fillet, Crabmeat & Toasted Almonds Topped With Lump Crabmeat, Almonds, And A “Meuniere” Beurre Blanc. I was in the mood for fish but I had some trepedations about going with this. 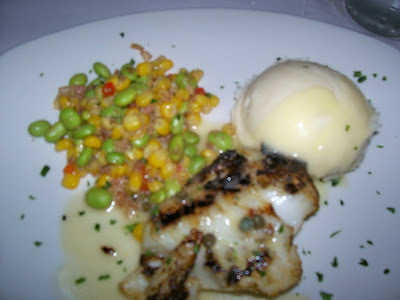 Cornmeal crusted catfish is good but on snapper and I have a thing about nuts with food. But I am also adventurous and willing to try new things especially coming out a kitchen of a recognised chef. In the end I loved it. The crust seemed more corn flour and delectably seasoned. It certainly contrasted well with the fish. The crisp and crunchy crust and the sweet and moist fish. The slivered almonds were pan toasted. This resulted in a nutty sweet flavor that boosted the sweetness of the crab. Again there was a contrast of crisp and soft. You got two things that had two layers of flavor. Put together they surpassed the sum of their parts. The sauce brought them together. 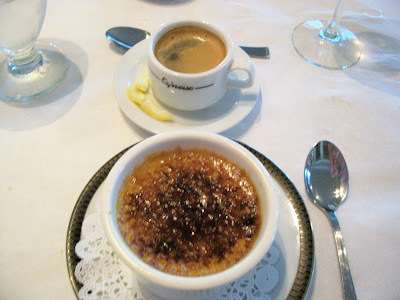 Bringing up the rear was espresso and creme brulee. 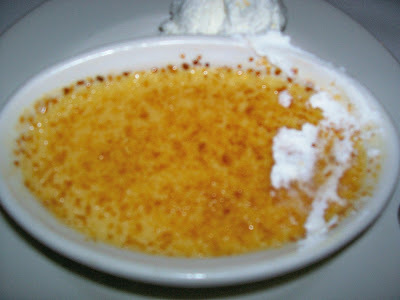 The crust on the brulee seemed to be a bit overdone but I found it gave not only a caramel flavor but a slight bitterness that contrasted well with the unctuous custard underneath. The second absolutely perfect one that I have had this month. I wanted something hot and spicy today for lunch to combat the penetrating cold. It popped into my head that this venue does a seafood picante on Friday. So off I went. As I have turned in the review for this place for publication next week and this meal was not on it I am going to give the full treatment on it. Eric Cormier's column this week, my review next week and the blog today constitutes an unintentional media blitz. However this establishment is well worth it. 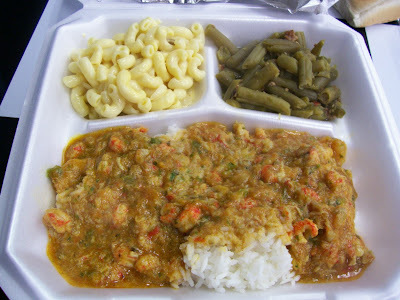 Below is a shrimp and crawfish picante with red sauce. It possessed a medium spice level but loads of flavor. I add a little hot sauce the at tail end and it brought it up to a nice burn. The green beans here always has a nice spice level and bacon. A deadly combo as far as I am concerned. A sure pick whenever it is offered. The mac & cheese had a wonderful cheesy flavor. As you can see by the color it is not the usually cheddar. I suspect they use a mix of some mild cheeses. It is smooth and creamy. Very satisfying and filling. Later this afternoon, weather permitting, I will be heading to Regalia for what's become a Friday afternoon ritual. Arabic coffee and conversation. Our enthusiastic friend got an order of Vidalia Fried Onions for the table. They were in a seasoned tempura batter with a chipotle dipping sauce. The sweet and the smoky went well together. A side salad that came with my meal contained green leaf lettuces, tomatoes and croutons. I opted for Ginger dressing which had a nice clean ginger flavor and quite zippy. My sister's Baked Potato Soup was very smooth and creamy with a pronounced potato flavor but not too rich. My Shrimp Gumbo while tasty had a tomato based broth. I prefer mine sans tomato. Our enthusiastic friend ordered a Bistro Burger. Grilled ground sirloin patty and Wisconsin Cheddar cheese with raw onion rings, tomato slice and lettuce on a whole-wheat bun. I would have thought it would be dry but my taste proved otherwise although the cheese tasted more like American. She enjoyed it. My sister opted for the lunch portion of Grace’s Power Plate Bistro Veggies. That overflowing plate contained fresh spinach, artichoke hearts, broccoli, zucchini, yellow squash, red and green bell peppers. Some items were steamed and others grilled. All had a light seasoning that made the most of the vegetables. My entree was Creole Grilled Tilapia. Nicely grilled with a moist interior and spicy laden exterior. I went with sweet potato fries (excellent) and grilled squash. 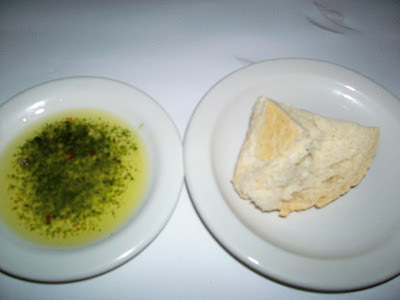 It also had a garlic herb drawn butter for dipping that proved too salty. We all shared a Vahlrona Chocolate Pie for dessert. The Vahlrona chocolate had been transformed into a dense filling with a fudge brownie consistency, nice. This establishment is more a bar than a restaurant. The bar now a “Tiki Bar” with all the appropriate decorations advertised standard frozen drink and not the drinks I associate with Tiki Bars (Mai Tai, Fog Cutter, etc). They open the kitchen for lunch and then back again at night. 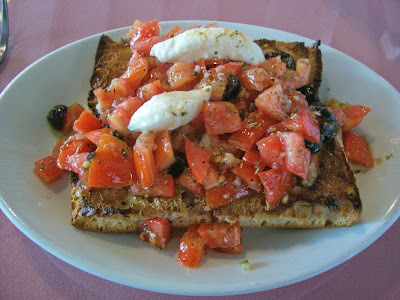 It is pretty much bar food with such things as appetizers, salads, burgers and sandwiches. 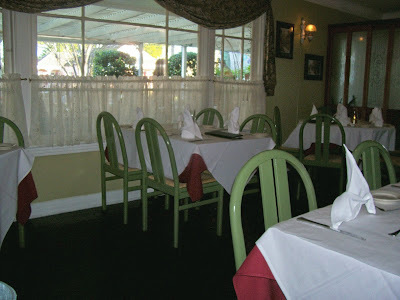 For the most part decent food and during lunch a quiet atmosphere, I am sure it livens up at night. Second time in was the Appetizer Platter. You pick 3 out of 5 items. I went with the Chicken Tenders, Hot Wings and Loaded French Fries. The tenders came out big with a crisp thick crust and not at all greasy. A moist succulent inside with good flavor enhanced by the honey mustard dipping sauce. The wings proved classic Buffalo style. Nice size but not too big fried drumettes and two bone portions tossed in a cayenne/vinegar/butter sauce, superb. The loaded fries were a wreck. 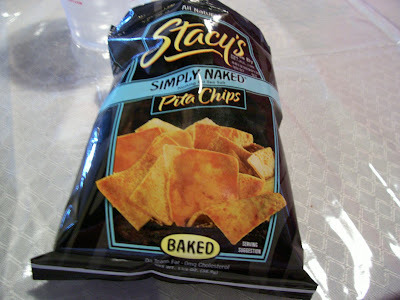 Dry with just cheese slices layered on them with a bottle of Baco’s on top, not what I was expecting and truly not good in my book. Now if it had been ooey-gooey with cheese sauce and large pieces of their bacon, this would have been a trifecta. Last foray I opted for the BBQ Bacon Chicken Sandwich. Served open face on the same bun as the hamburger you had the cold side stuff on one half. On the other half two of the fried chicken tenders topped with an excellent BBQ sauce and bacon (did I mention the killer bacon they have here). Flat out delicious and perfect for soaking up some alcohol. The only ting that could have made it better was a little more sauce. Service was laid back but good. 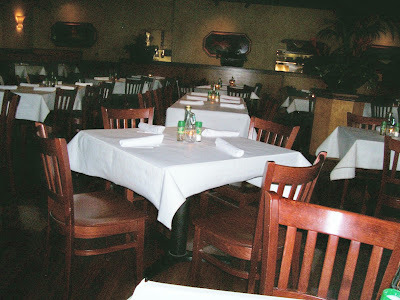 The times I ate here I was not in a hurry and appreciated the quietness. In my book there is nothing like good tasting food and that includes bar food. This menu shows that someone who loves food thought through it. 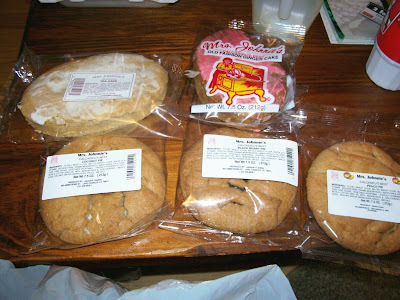 I was in Lafayette for a food show on Thursday. Since this establishment was literally just around the corner from the food show, I took the opportunity to try this venue again. Below is a shot from my booth into general sitting. 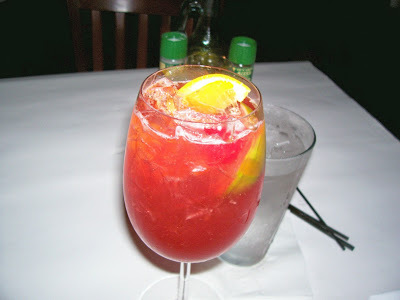 I started off with a white sangria. Must have been made with white zinfandel. I was not looking for fine wine but a refreshing drink and it was all of that. This was heaven. Mussels Josephine. PEIs sauteed with tomatoes, garlic, basil and lemon white wine sauce. 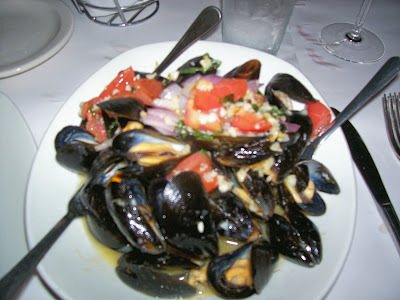 The mussels were nice size and meaty. The acid of the tomatoes played off well on the slightly sweet sauce and the anise of the basil tied it all together. I have not had mussels in awhile and this was certainly a treat. I added a Bonefish Side House salad to my entree. The description of "Farmed Greens", hearts of palm, Kalamata olives, tomatoes, pine nut and citrus herb vinaigrette had a few clinkers. I assumed "Farmed Greens" would be mescalin. Instead the salad consisted of a half dome of iceberg hidden by some baby greens and such. The heart of palm was a tough fibrous spear. As for the rest it was quite good. 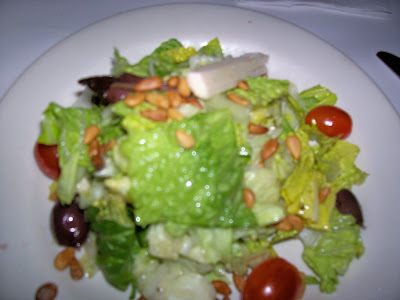 The vinaigrette was excellent as was the olives , pine nuts and tomatoes in combination. The whole salad would have been spectacular if not for the berg. The location is 1912 Kaliste Saloom. It is in a shopping area on the north corner of Camellia Blvd and Kaliste. It is a petty straight shot. Come down Ambassdor Caffery until Guilbeau Rd. Guilbeau turns into Camellia which ends at Kaliste Saloom. Dinner only starting at 4 PM daily.